You can sell your convention-related products through your Tabletop.Events site. Note: It does not include a shipping system, as it assumes you will distribute the merch at your con (usually during the registration process). 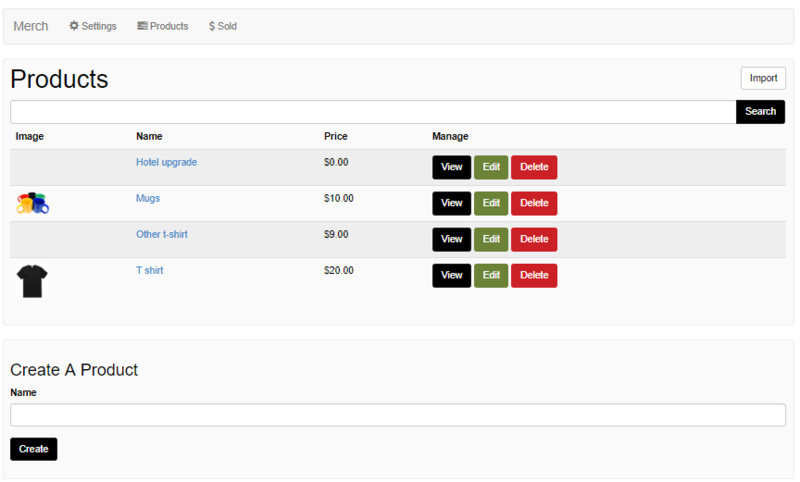 Under Convention tools > Merch you will see the option to add Selling Merchandise to your convention. Click on the “Enable Merch Sales” button. Then go to the Products tab. There, you can create a product. 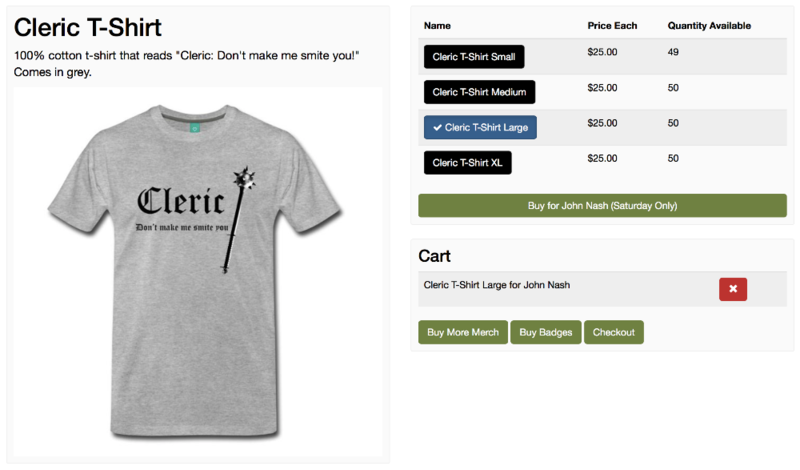 You will add the name of the product (for example, a T-Shirt), then hit the “Create” button. 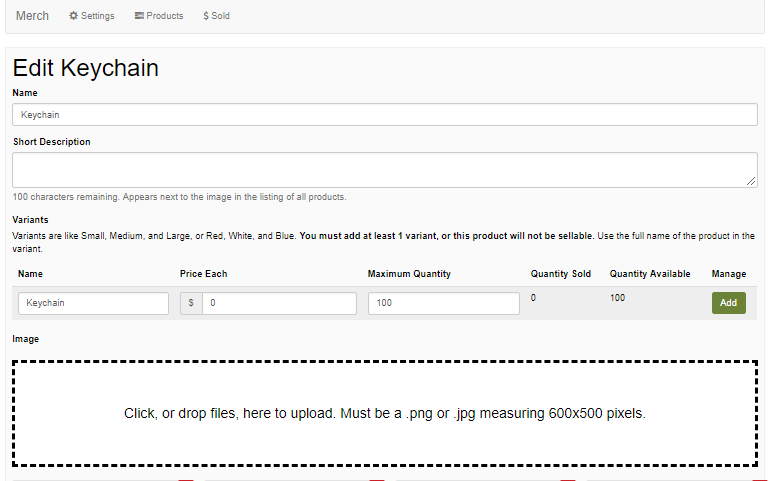 After you hit the create button, you will be able to add a description of the item the price for each item and the maximum quantity you have to sell. You can also add an image of the merchandise you plan on selling. After you have filled out all the information you will hit the “Done” Button at the bottom of the screen. During checkout, your attendees will see the option to add merch to their cart to pick up at the convention.